The words "city of champions" will not return to the welcome signs that line highway entrances into the city. The words "city of champions" will not return to welcome signs that line highway entrances into the city. After a heated debate, councillors voted 7 to 5 on Tuesday against bringing the slogan back. Coun. Tony Caterina introduced a motion to revive the controversial slogan, which adorned welcome signs until the words were removed in 2015. An amendment was introduced to add a single word and have the slogan read "a city of champions." "I will support the amendment," said Coun. Michael Walters, "because it gives us a slightly better slogan to vote against." That comment prompted chuckles from some councillors, which Caterina took offence at. "All the laughter on something that I think is extremely serious for Edmontonians that support this," he said. "The belittling that's going on here is incredible." In discussing the motion, Mayor Don Iveson noted there are 14 other cities that have called themselves the city of champions, adding a good slogan is hard to come by. The phrase has never been a priority for his constituents, said Coun. Andrew Knack. "Hopefully this is the last time we have this discussion," he said, adding he hopes the people who are passionate about this continue with their work of promoting the phrase as "one of the things that makes Edmonton, Edmonton." It would be a "huge mistake" to bring the signs back, said Coun. Ben Henderson, who suggested they will likely be debated again within 10 years. The original error was putting those words on the signs to begin with, Henderson said. "What defines Edmonton is that it's home to great people," said Coun. Bev Esslinger. "True champions don't call themselves champions." Wilf Brooks, owner of United Cycle and a member of the group Friends of City of Champions, said people like the slogan. "The term, a city of champions, speaks to who we are, it's the spirit of Edmonton," said Brooks, who vowed the group will not let the issue die. 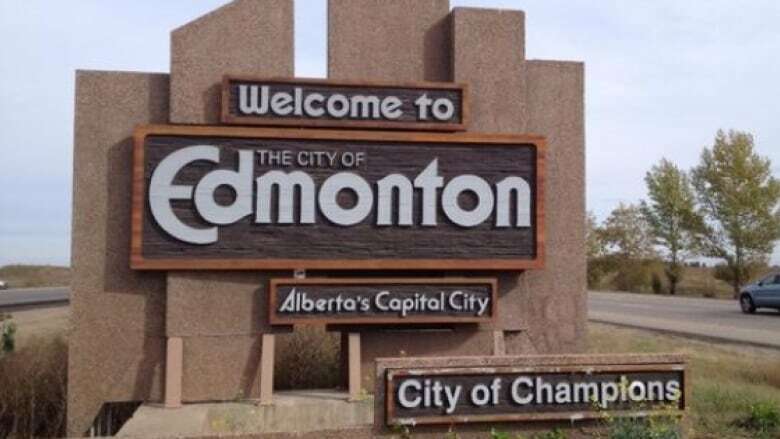 Digital billboards have appeared in Edmonton in recent weeks with the words "Edmonton - city of champions" on them. Those signs will continue, Brooks said. "I'm not discouraged by today," he said. "It just reconfirms that they did it wrong the first time."